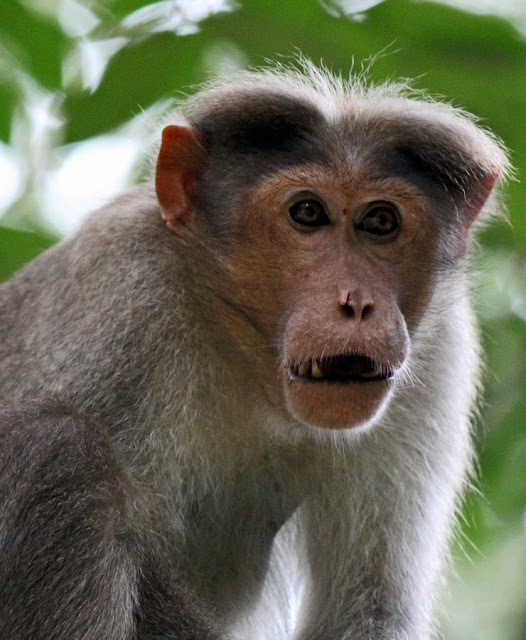 These are some monkey faces, some angry, some pensive. 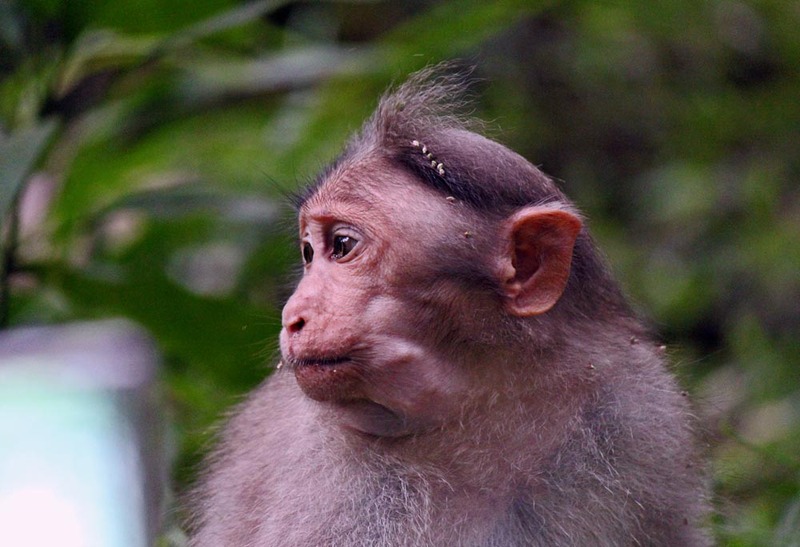 Monkey's expressions can be very similar to humans. These photographs were taken in a national park in Kerala. In this one the monkey seems apprehensive. This is a side profile of a monkey who is unaware of our presence. 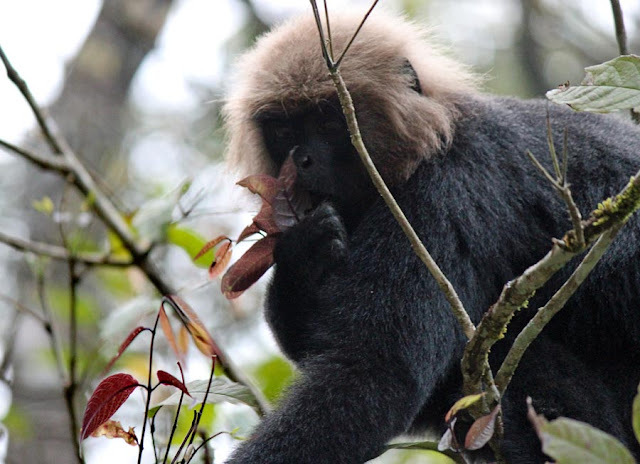 A large black monkey eating leaves. He has a very thick and rough coat. 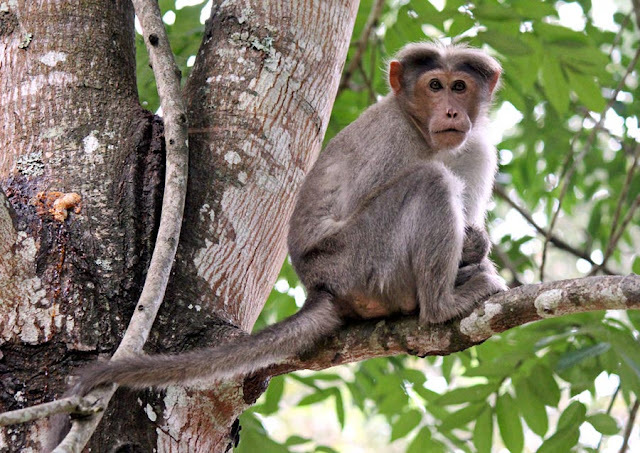 A monkey sitting on a tree branch, feeling safe in the tree.